In this technological day and age, when many of our kids are more familiar with technology than we are, parents need all the help they can get protecting their kids while they are online. Let’s face it, we KNOW there are dangers out there, and while our kids may be savvy when it comes to working with the internet, they may not be all that savvy when it comes to dealing with some of the things they come across. Action Alert is a computer monitoring program endorsed by the Child Safety Network that is designed to make it easier for parents to keep their kids safe while online. Action Alert provides a multi-faceted approach to protecting your children. The program will allow you to receive alerts on your cell phone or computer when something deemed inappropriate comes up. It will also allow you to shut down your home computer from your phone! The program logs user names and passwords and will suspend a user if suspicious activity is recorded. With the “safe search” feature, it only allows internet searches on certain topics, and you can set a daily time allowance for users on your computer, if you are worried about your children having too much computer time! You can download the free version of Action Alert, which will provide protection, however the Maximum Protection version, which costs $29.99 allows you to provide customizable protection for multiple users. This is good if you share a computer with your children. You can add the Action Alert protection under their user name and customize as you want, but you do not have to add it under your own account. I downloaded this program and assigned it to my son’s user account on my computer. It did work, but as I have often found with programs like these, it seemed to cause glitches on the computer in general. He was often frustrated by the “safe search” mode, as sometimes it would not allow him to search for something, even though it wasn’t something bad. We also had problems with the computer freezing up and other installed programs not running correctly. Like I said, I have tried other internet safety programs before and had a similar experience, so I’m not sure if the problem is just something to do with this type of program in general, or not. *NOTE: I received a free download of this product in exchange for writing this review. All opinions expressed are my own. The topic for this weeks blog cruise is, “How do you make time for your spouse?”. Hmmm…..that’s a good question. Let’s face it..as homeschooling moms we have SO many responsiblities. 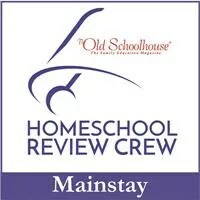 First there’s the planning that goes into the homeschooling, then there’s the actual homeschooling itself, then there are all the many, many day to day chores we have to do to keep our households running, not to mention playing chauffeur and sometimes (at least at my house!) referee. Let’s face it, it is very easy for our husbands to get lost in the shuffle, isn’t it? First, because my husband is a fireman, he works 24 hour shifts with 48 hours in between. He does have a second job as a personal trainer, so he is often busy with clients during his off days. I try to do my homeschool work (planning, grading etc.) as well as major household chores (mopping, laundry, shopping) on the days he is on shift. That frees up some of my time on the days he is home. Also, as our children get older (they are currently 13 and 10) my husband and I find we can sqeeze in lunch or an early dinner while leaving them at home. We never go for more than an hour and half, but it does give us time to have actual conversation. ( I remember, during these outings, what a great sense of humor my husband has, which is part of why I married him in the first place!). My husband and I also make it a point to try and choose one TV show each season that we will watch together each week. It may seem silly, but I find myself looking forward to our snuggle time on the couch each week as our show approaches. We choose one that comes on after the kids are in bed so we won’t be interrupted. These are some of my favorite times, just hanging out on the couch…and the show usually gives us lots to talk about later. My husband and I also both love the outdoors. We live in a neighborhood near the river with a great park. He and I have taken to walking our dogs together on the nights he is home. We usually go after I’m done cleaning up dinner, and we are only gone for about 30 minutes, but still, that uninterrupted 30 minutes of just being together goes a long way with us!! Arguing is something that seems to come naturally to teenagers (at least to mine!! ), but knowing how to argue a point well, and recognize flaws in others arguments, is a skill that doesn’t come as naturally. 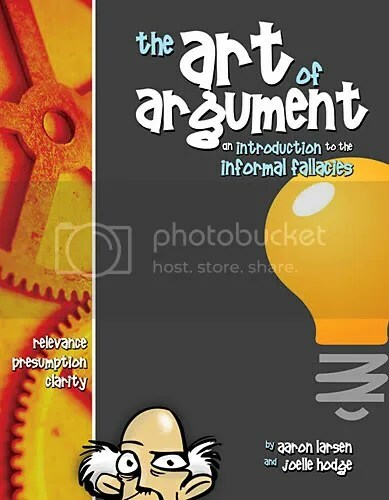 Art of Argument by Classical Academic Press is designed to teach students how to recognize fallacies in real life. The student text comes in a workbook format, which is really nice, and features instruction on 28 fallacies. Lessons include “ads” that illustrate the fallacy, and allow your child to see HOW these fallacies are used to promote products every day! Each lesson starts with a clear definition of the fallacy, followed by examples to illustrate it. The teachers edition is a copy of the student workbook, with answers and tests and quizzes in the back. You can also get the DVD that goes with the program, and features a teacher leading discussions about the fallacies with students! My older son has done other fallacy programs, so he is familiar with many of the concepts presented here. However, I REALLY liked the workbook format and teachers edition. They allowed me to see my son working through the fallacy, and, if I didn’t have the time to read through everything myself (which I try to do, but honestly, can’t always get around to as I have my younger son to teach as well), I could just refer to the teachers edition for the answers. I also liked the ads that were featured in Art of Argument. Often, after looking at them, my son and I could go through the newspaper and magazines that we have around the house to identify the fallacies in other ads. I think being able to recognize these will help make my son a smarter consumer. The DVD was a nice addition to the program. I wouldn’t say it is absolutely necessary, but the teacher does a good job of leading the students through a discussion about the fallacy, and after watching my son and I were able to talk about the discussion and elaborate on things the students and teacher brought up. The cost for this program varies, depending on what you want to buy. 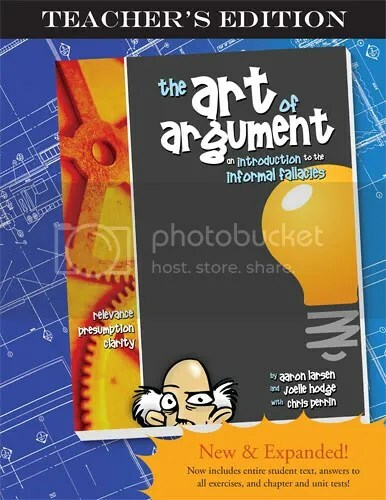 The student edition for Art of Argument costs $21.95 and the teachers edition will run you $24.95, the DVD set costs $54.95 . You can also buy the “bundle” which includes the student edition, teachers edition and DVD for $88.95. I felt this was a very worthwhile program. It led to many great discussions for me and my son. As I said, I think the student and teachers editions would be enough, but if you have the money to buy the DVD, then get it! NOTE: I received a free copy of this product for the purpose of writing this review. All opinions expressed are my own. The question for the blog cruise this week is “Do you use standardized testing in your homeschool?” For me, the answer is yes. I know a lot of people are against testing, but I am not one of them, and the beauty of homeschool is you can do what suits YOU best! First of all, my children were already familiar with testing since they spent time in school before we started homeschooling. As a teacher, I am well aware of the downfalls of testing, but, I also feel it has some benefits, and I think what tests you use and HOW they are used has a big part to play in that. In my state, we have a yearly test called the FCAT. This test is a nightmare for teachers and students alike. It is based on Florida “standards” (determined by people in the state gov.) and the scores are used for rewards and punishments for students, schools and teachers. This type of testing causes stress and anxiety, and the results aren’t very useful. My boys test with our homeschool group every year using the SAT 10. This is a nationally-referenced test, similar to the SAT kids would take in high school, and very similar to the type of tests I took in school as a kid. Testing days themselves aren’t a big deal to my kids, they know they are going to go in for a couple of hours, and bubble in some answers. I do NOT use the tests for grades for my kids, or to reward or punish them for anything. For me, the test scores are more informative than anything. I believe there are many ways to measure a child’s success, and I think testing is one small part of that. I keep portfolios for my kids, and every year, I look back on them to see the PROGRESS they have made in each subject. I also use my own observations to measure how they are doing. I usually compare their portfolios and my observations against the test scores. Most of the time, weak areas in their testing are the same areas I have identified as weak points already. In this case, the testing is just another way to confirm what I have already seen. If my child did really well in an area where I thought they had shown weakness in their schooling, I would go back through their portfolio and talk with them to try and determine if the score was a fluke, or if maybe they just weren’t putting their all into their schoolwork. If a test score is low in an area they have shown strength, then I again review their portfolio. If the portfolio and my observations indicate growth in that area, I consider the test score a fluke. One thing I do like about testing is that it gives me a concrete score that I can compare from year to year (my hubby likes this too!). Each year, I expect their score in each area to go up, and I have yet to be disappointed. This helps me to know I am on track. I also like that the test can give me some ideas for things to work on for the next year. For instance, this year, both of my sons scores indicated they were a little weak in the area of earth science, so next year, we are going to study that! !